The Agency at WAFB has requested to open the Labor Management Agreement (LMA) which reached its term on May 10, 2011. It will remain in effect until the new LMA goes into effect. As of March 30, 2015 the contract is still in negotiations. 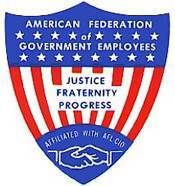 E-mail us at union@afge2361.org if you have any suggestions. You must voice your feelings about wearing a military uniform while working in civilian status as Air Reserve Technicians to your elected representatives (see links below). We have worked hard to stop the Air Force from forcing it upon us here at Whiteman AFB. Meetings are held second Tuesday of each month at 4:30pm. Remember you can make a difference by attending a local meeting. See you there! Please report any problems with the links above.